Sascha Ring, a.k.a. Apparat, is an electronic musician that has created his own unique atmospheric music that is both somber and uplifting. If you feel compelled, you can call it ‘Chill Wave’. The Devil’s Walk, out today via AIP, is his fourth album. If you like Moby, M83 or The Cure, you will enjoy this album. Click on the album art below to stream The Devil’s Walk in it full over at NPR’s First Listen. Below the album art is the latest video for ‘Song for Los (Director’s Cut)’. Apparat – Song of Los (Director’s Cut) from Saman Keshavarz on Vimeo. As many of you have probably heard, R.E.M., one of the great domestic bands of American rock for over the last 30 years, announced it is breaking up. Albums like Murmur, Reckoning and Document solidified this Athens, Georgia bred band as the underground and college radio favorite of the 1980s. Everyone’s favorite, outspoken vocalist Michael Stipe, guitarist Peter Buck, bassist Mike Mills and, until 1997 drummer Bill Berry were the heart of R.E.M. The ’90s saw R.E.M. morph into pop superstars due to hits that include “Losing My Religion” and “Everybody Hurts.” As the years went on, their popularity declined, however, the band continued to release new material over the past decade, including its 15th album, Collapse Into Now, earlier this year. In their own words: The band members share their thoughts on why now. Another great alternative/indie band, Pavement, has given homage to the band in the past in a track ‘Unseen Power of the Picket Fence’ and it’s a fine way to recognize a truly remarkable band. It’s the End of an Era and We Know and we feel fine……….. Tags: alternative rock music, break up, r.e.m. Time for RC to get a little nostalgic. Remember when MTV used to play music videos? Here’s a quick little run-down of the first 10 music videos ever played on MTV. The first one’s a no-brainer. Take a ride on St. Vincent’s newest album, Strange Mercy. 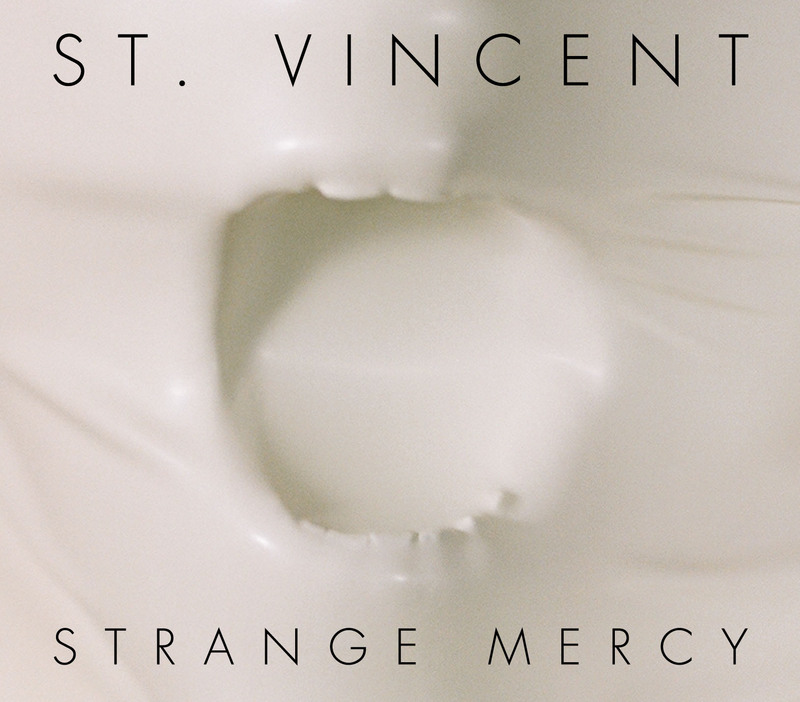 Out today in the U.S. and a day earlier in the UK via 4AD, Strange Mercy is St. Vincent’s third effort and possibly the most mature, so far. Annie Clark began as a member of the Polyphonic Spree and then, Sufjan Stevens’ band and has grown into an exceptional artist in her own right, as St. Vincent. Every song is worth a hearty listen. There are layers of sound she seems to create so effortlessly with the guitar. Click on the album cover below to stream the album on NPR’s First Listen. While the Shins are out and about after a 2 year hiatus and James Mercer’s undertakings with projects, such as Broken Bells with Danger Mouse, the Shins are back on tour. During a show last night in Oregon, they let the audience in on a new tune and thanks to , we are lucky enough to get a gander at the untitled tune. After Bob Mould did his version of ‘If I Can’t Change Your Mind’, A.V. Undercover 2011 didn’t take the song off the master list and that left them with The Decemberists, who agreed to play the song. So, here’s part deux! Bob Mould was traveling through Chicago and A.V. Undercover 2011 couldn’t resist inviting him in to perform his own song: ‘If I Can’t Change Your Mind’ from Sugar’s classic 1992 debut, Copper Blue. Mould, who also fronted the legendary Husker Du.